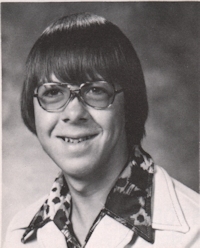 Obituary – Adkins, Gary Lynn « Perry High School Alumni Association, Inc.
track 75-78; Basketball 77-78; Cross-Country 75-76. 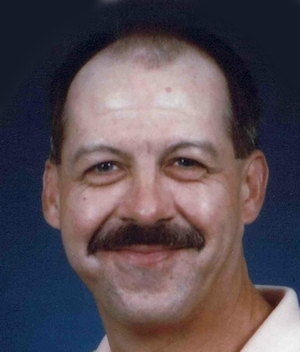 Gary L. Adkins, 47, of Perry, Oklahoma, formerly of Stillwater, Oklahoma, was the son of Ralph N. and Linda G. McHugh Adkins. He was born on March 8, 1960 in Electra, Texas and died Sunday, February 3, 2008 at Integris Southwest in Oklahoma City, Oklahoma. A 1978 graduate of Perry High School, Gary played basketball and ran cross country while in school. Gary worked at Charles Machine Works for a short time, managed Daylight Donuts in Stillwater and delivered newspapers for Stillwater NewsPress. He loved playing frisbee golf, fishing, camping and being with his dog Merle. Funeral services will be 2:00 p.m. Wednesday, February 6, 2008 at the Church of Christ in Perry. Gerald Stewart will officiate. Interment will be in Grace Hill Cemetery. Services are under the direction of Brown-Dugger Funeral Home in Perry. Memorials may be made to the Church of Christ in Perry, the American Lung Association or the Gary L. Adkins Fund to assist with medical and final expenses in care of Brown-Dugger Funeral Home, 1010 N. 7th Street, Perry, Oklahoma 73077. Gary is survived by his mother, Linda G. Adkins of Electra, Texas, formerly of Perry, Oklahoma; two sisters, Jana Allen and her husband, David and Keri Koch and her husband, Geoff, all of Perry, Oklahoma; three nieces, Kristin Thompson of Ashburn, Virginia, Alissa Thompson White of Lindsay, Oklahoma and Cierra Koch of Perry, Oklahoma; three nephews, Taylor Thompson of Stillwater, Oklahoma, Brendon Koch and Lincoln Koch, both of Perry, Oklahoma; one great-nephew, Cason Lynn White of Lindsay, Oklahoma and one great-niece, Layla Jo Ann White of Lindsay, Oklahoma. He was preceded in death by his father, maternal grandparents and paternal grandparents.